Hello once again and this is Dr. Dave and you are listening to the KnolShare with Dr. Dave podcast, hosted on GrokShare.com. KnolShare with Dr. Dave is also on iTunes, Google Play, and Spotify. You are listening to episode #16, a conversation with James Prieto highlighting the importance of Non-violent communications (NVC) and the correlation to the first agile value of “Individuals and interactions over processes and tools”. 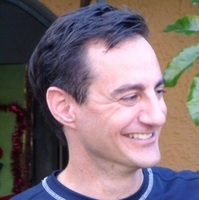 James is an agile and NVC certified coach and the author of the book “The Joy of Compassionate Connecting”. James and I met at a few agile conferences and I was intrigued by the application of NVC to shape the way we work using the agile values and principles. He described observations, feelings, needs, and requests as key NVC tenets. Let’s listen to what James has to share about NVC. If you would like to connect with James visit his website at http://compassionateconnecting.com/. Also, checkout Silicon Valley Non-Violent Communications practice group found on meetup.com. James runs a weekly meetup group to help you sharpen your saww as an NVC practitioner. Visit CNVC.org for more details about the availability of NVC in your community.